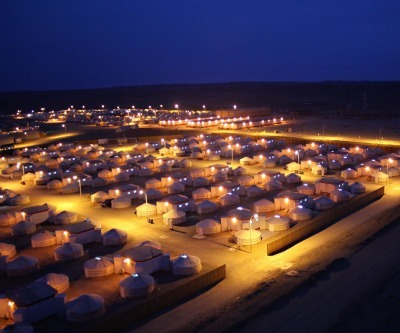 World number two miner Rio Tinto (LON:ASX) has suffered another setback at Oyu Tolgoi in Mongolia after the US refused to vote on World Bank funding to expand the massive copper-gold project in Mongolia. Operator Turquoise Hill Resources (TSX:TRQ), which is controlled by Rio, has already spent more than $6 billion on the mine in the south Gobi desert where it hopes to start commercial production by June. The additional $4.5 billion debt package being negotiated with the International Finance Corporation, the World Bank’s private sector arm, the European Bank for Reconstruction and Development and several private institutions is needed to develop Oyu Tolgoi to full capacity with an underground mine to compliment the open pit. The Inter Press Service reported Friday the US decision to abstain from voting won't derail IFC funding of the giant mine, but would add further pressure to make substantial changes to the controversial project. “[T]he United States’ review of the Environmental and Social Impact Assessment (ESIA) for the project has raised concerns in a number of areas,” a position paper, dated late February but publicly released this week, states. The document also draws attention to longstanding complaints from local herder communities, currently pending before a World Bank Group auditor. The U.S. says it is “keenly interested in the outcome” of this review. Turquoise Hill which owns 66% of the mine is also at loggerheads with the Mongolian government over development costs, royalties and ownership – not to mention governance – of Oyu Tolgoi which is now operating under a temporary budget. A 2009 deal gave Mongolia 34% of Oyu Tolgoi, but but wrangling over ownership of the project – with a final bill of as much as $13 billion by some estimates – has only intensified since a new government laden with resource nationalists took power last year. Mongolia has accused Rio of working fast and loose with financing for the project as rhetoric over a bill before the Asian nation's parliament which contains sweeping changes for the mining industry intensifies. At full tilt, the mine is set to produce more than 1.2 billion pounds of copper worth $4.6 billion at today's prices, 650,000 ounces of gold ($1.1 billion) and 3 million ounces of silver (just under $100 million) each year. Oyu Tolgoi will account for an astonishing 30% of the economy of the nation of just over 3 million people.